This scarf is for Jill, who is quickly becoming my Etsy store‘s best customer (specifics: she is currently responsible for 100% of its direct purchases and for 33.3% of its special orders – not bad, no?). This photo doesn’t really do the colors justice: the variegated yarn is really beautiful. I’ll try to get some photos of it in natural light for next week. 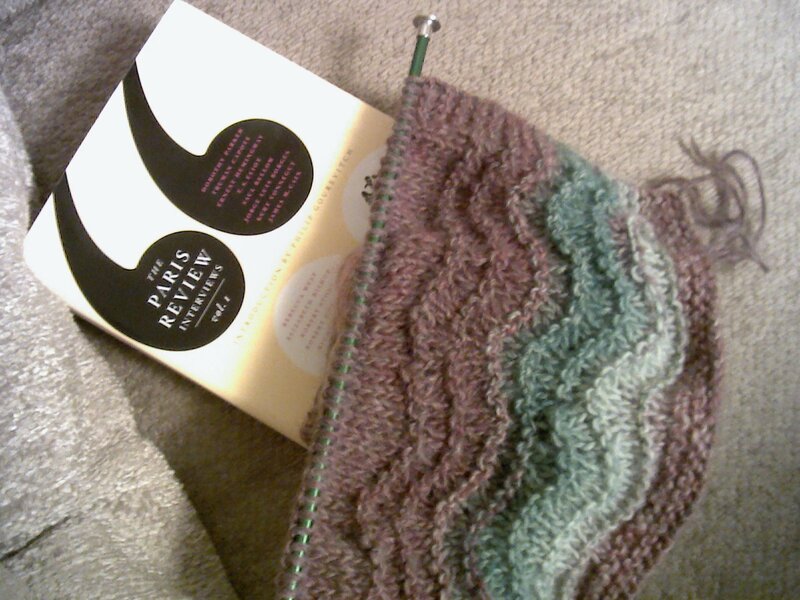 I have another project going on as well – a project that is totally new for me. It’s not really hard, but it involves a lot of delicate work with small needles and fine yarn, and so far it’s going beautifully. I’ll aim to have photos of that project ready for next week too. As always I’m reading a dozen or so books at a time. The one in the photo is one of the assigned texts for a class I’m taking, starting tomorrow. It’s the first volume of the Paris Review Author Interviews, and so far it’s really good. More to come when I’ve read more than a few pages. 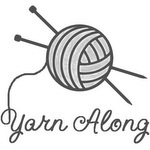 As always, Yarn Along is hosted by Ginny on her blog, Small Things. Lucky Jill! That scar looks like it is going to be very very pretty!